Haven’t been diving lately and want a quick scuba refresher? The ReActivate™ program is the perfect way to update your dive skills and knowledge from the PADI Open Water Diver Course before jumping back into the water. Whether you want a few reminders or need to go over the basics, ReActivate is personalized for you: You conveniently review scuba concepts on your tablet, mobile device or computer, then go diving with a PADI Professional. It’s quick and easy, and a good way to prepare for your next PADI course or get ready for a diving vacation. 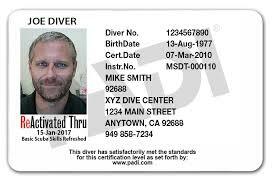 The best part is, PADI certified divers who complete both the knowledge and in-water skill refresher receive a replacement certification card with a ReActivated date on it. 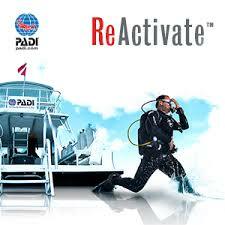 Ready to ReActivate your dive life? Click here to get started! Not a PADI diver? No problem, check out Scuba Review! Click here.